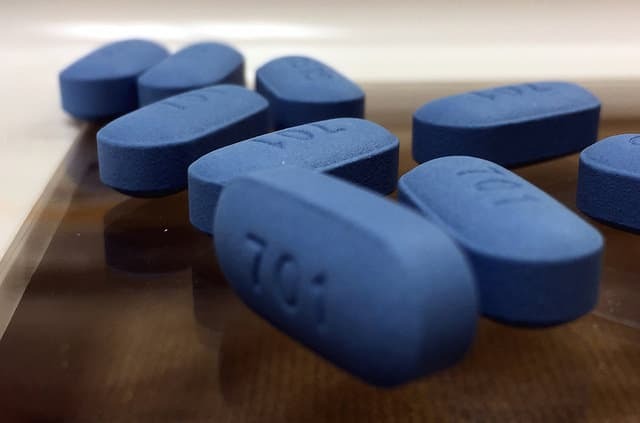 A new report from the Centers for Disease Control says that use of PrEP, aka pre-exposure prophylaxis, jumped to 35 percent in 2017 from 6 percent in 2014. NBC News reports: ‘The data showed varying use among racial and ethnic groups. More than 40 percent of white gay and bisexual men at high risk of HIV used PrEP in 2017, while only 30 percent of their Latino counterparts and 26 percent of their African-American counterparts did so. The updated data highlights the fact that minorities access PrEP at lower rates than whites, despite being at higher risk of HIV infection. The data also found high awareness of PrEP, which is also known by its brand name, Truvada, among all gay and bi men: Eighty-six percent of African-Americans know about it, as do 87 percent of Latinos and 95 percent of whites. Last month, New York City Council Speaker Corey Johnson, who is both out and HIV-positive, joined other HIV activists and health officials at the AIDS Memorial in New York City to call for the federal government to make the life saving prophylactic drug Truvada, also known as PrEP, cheaper.